The RAF 83B are piloted hydraulic valves activated by line pressure. 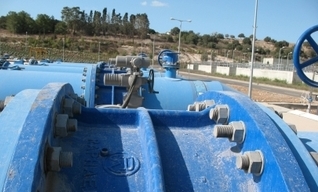 The pilot valve has a spring-loaded membrane, which is exposed to the upstream pressure. The valve is normally closed. Only when the line pressure rises above a preset point, the RAF 83B opens to relieve the excessive pressure downstream without causing surge hazards. When the line pressure drops, the RAF 83B re-closes. Use RAF 83B to maintain constant upstream pressure and to avoid undesirable high pressure. 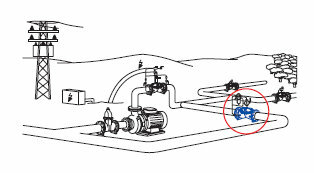 This protection is required for most irrigation devices, domestic and industrial utilities.